Kuselan is still creating waves in the bay area, even after the release. After conducting the slogan contest, Gowri Shankar is gearing up for another event on August 2nd and 3rd. August 3rd is the International Friendship day of this year and ironically, Kuselan, is a movie which emphasizes the greatness of friendship. So, Gowri Shankar along with other Rajini fans are planning to celebrate this friendship day along with thalaivar! Kuselan Special Friendship bands are going to be distributed for free exclusively at Madras Caf�, an Indian restaurant in the bay area. Also, they have some special offers in place. For $40 or more purchase in Madras Groceries, Kuselan Audio CD will be given free! Kuselan slideshows and trailers will be screened during this event and the fans can come and collect the friendship bands and relish their friendship! 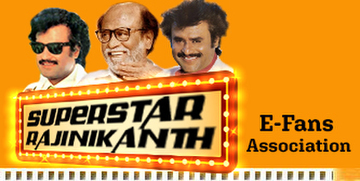 Thalaivar's movie and Friendship day ! – Two perfect reasons to celebrate. It can never get any better than this!! !